Help me stop millions of liters/yr of Mr. Clean, Lysol, and Pine Sol, from going down the drain and into our environment by buying Norwex. Norwex Mop System: just wet, wipe, rip, and rinse! No buckets to fill, lift, and dump and no heavy mop to wring. Economical vs dispose-a-mop. Did you know that chemical cleaners are specific to certain types of germs? Why not use Norwex instead and pick up 99.9% without chemicals. Dust Mites and dander – terminate and eliminate them in your mattress for 4-6 months with Norwex Mattress Cleaner! Don’t be a human lab rat for the cleaning chemicals companies’ untested “New and Improved” chemical formulas. 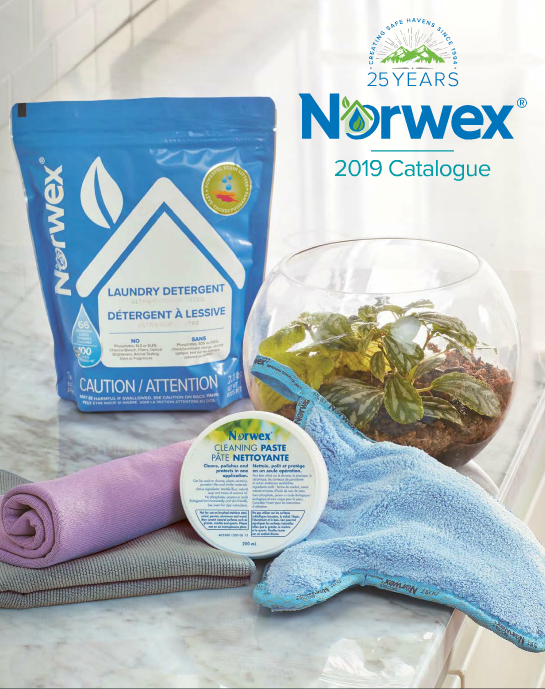 Norwex finds Nature’s solutions to Nature’s odors and residues to give you non-chemical and all natural ways to efficiently clean your home. Norwex has kid safe chemical free cleaning. Do you know how liberating it is to walk by the cleaning chemicals aisle and know you’ll never have to go down it again (let alone smell it)? Do you know how great it is to know that not a cent of your hard earned money is ever going down the drain again (literally) because your Norwex envirocloth does so much? 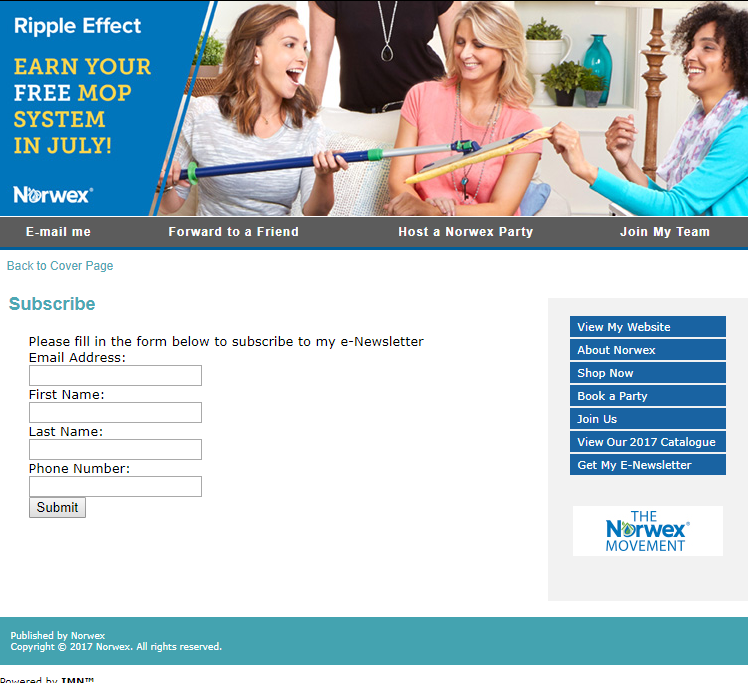 Do you know how great it is to avoid the discouragement that the mess on the floor could possibly make you run out of mop solution before you were planning on buying another bottle because you have the fabulous reusable Norwex Mop System? Do you know how great it is to look at the toothpaste on the mirror without the dread of remembering to add that chore to the list because all you have to do is reach over and grab your Norwex window cloth? Do you know the peace of mind of knowing there isn’t a single toxic chemical in the house for your baby to get into? Using Norwex has been a liberating experience and has improved my quality of life! I hope you will choose to experience the liberation of Norwex too! Norwex has expanded since it first began 10 years ago. Norwex is more than just microfiber. Because Norwex wants to reduce chemical use, Norwex has developed safer alternatives for personal care products. No company in North America has Organic Products that exceed Ecocert® Organic standards. Ecocert isn’t just saying to grow your ingredients without pesticides, it also ensures that the ingredients are good for you! Ecocert has a “no-no” list: things that should not be in personal care products. Norwex Organic Line ensures that not only are their ingredients organically grown, it ensures that there is nothing even suspected of being harmful in their Organic Line products. CEO Debbie Bolton searches the world far and wide until she is satisified with every aspect of the product – from the soil to you. Norwex cares about a healthy environment and the personal well-being of our customers. Our products contain organic, not synthetic ingredients that are purer, safe for the environment, and gentle on your skin. We choose ingredients that promote a better quality of life and reduce the damaging effects of toxins. We offer innovative products with ECOCERT® certified organic ingredients to revolutionize skin care. We are proud to be one of the first companies in Canada marketing organic personal care ECOCERT® certified products! There are many definition and criteria used to define natural and organic products and this can make it difficult for consumers to distinguish truly natural cosmetic products. ECOCERT® is considered the most important organization in Europe for setting the standards for natural and organic cosmetics for consumers. To be considered a “natural cosmetic” ECOCERT® mandates a minimum of 5% of the total ingredients must be certified organic and at least 50% must be of vegetable/plant origin. To be considered an “organic cosmetic” ECOCERT® mandates a minimum of 10% of the total ingredients must be certified organic and at least 95% of the ingredients must be of vegetable/plant origin. ALL of the Norwex Organic Personal Care products supplied from Israel and Italy comply with and exceed the requirements for organic cosmetics! With regards to the products produced in Israel (Enriched Hand Cream, Organic Day Cream, Organic Night Cream, Organic Shea Butter). •Only certified and top quality ingredients from European suppliers are used. •Organic oils are certified by CSI, German. The Shea Butter is certified by Suolo e Salute, Italy and the Organic Aloe Vera carries the USDA (NOP) / IFOAM Organic certification, (USA). (NOP – National Organic Program; IFOAM – International Federation of Organic Agriculture Movements). In addition to the final products being certified organic by ECOERT®, all Swiss alpine plants used by our producer from Israel are also certified organic by Bio Suisse. Bio Suisse is an association of more than 30 organic farming organizations and about 6300 farms engaging in organic production in Switzerland and Liechtenstein. Bio Suisse is committed to a form of agriculture with a promising future and Swiss agricultural policy is responsive to the market and pays due regard to the needs of species and the environment. Switzerland is truly a pioneer country in organic farming. About 11% of its farmland is already cultivated to Bio Suisse standards. •The whole farm operation must be converted to organic production. If animals are kept on the farm, these must comply with organic standards (EU or IFOAM) even if not marketed as organic. •The minimum conversion period to receive organic certification is two complete calendar years. No reduction or retrospective approval of the conversion period is possible. Even operators who have been organic for several years my, in some cases, only be recognized as being “in conversion” by Bio Suisse. •Farm operations must set aside at least 7% of their agricultural area to enhance biodiversity. •There are stringent limits regarding the use of fertilizers and copper products. •Requirements regarding crop rotation are defined in detail. •Bio Suisse defines processing standards for different products. Additives and processing aids are only allowed if listed in the Bio Suisse Standard. •Bio Suisse products may not be exported by air plane. •All operators in the production chain must be Bio Suisse approved (every supplying farm, any processor) and the Bio Suisse approved products must be kept strictly separate from any other “organic-only” products. All operators certified according to Bio Suisse standards are inspected at least once a year. Inspection services recognized by Bio Suisse monitor the cultivation and the processing of Bud products, including the flow of goods, the recipes, the processing methods, the storage and the labeling. Organic farms and processing and trading companies only receive the Bud-approval after a thorough inspection and the examination of the report by Bio Suisse.